As a kid, I desperately wanted to be a cowboy. I dreamed of owning a horse, riding the range, and doing what cowboys did. And why wouldn’t I? 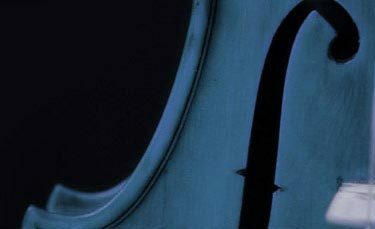 Every night I slept under a cowboy blanket and my lunch box was fully decorated with a decal of a handsome cowboy twirling his lariat. Growing up at the dawn of the age of television, all my heroes were cowboys: Hopalong Cassidy, Shane, Roy Rogers, Gene Autry, and John Wayne. I watched “Gunsmoke,” “Have Gun Will Travel,” “The Rifleman” and “Bonanza” while eating my TV dinner. My favorite actor was Gary Cooper, whose riveting role in the movie “High Noon” knocked my socks off. Of course, back then the entire country seemed to be smitten with everything cowboy. But we can’t just blame Hollywood and the Marlborough man for the popularity of the cowboy as a cultural icon. As early as 1893, noted historian Frederick Jackson Turner wrote an influential paper entitled “The Significance of the Frontier in American History.” Turner convincingly argued that the idea of the frontier was crucial in helping to define the American character. Since then, historians have been hotly debating the merits of Turner’s claims of the importance of the West in American history. For now, we’ll leave that argument to the historians. 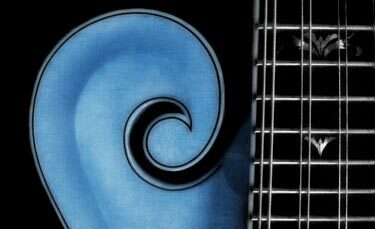 What I’m interested in knowing is how the idea of the cowboy influenced country music in general and bluegrass music in particular. Stick with me here as I outline some of the ways the idea of cowboys and the wild west snuck into our national consciousness. Dime Novels: As early as 1860, the publishers Erastus and Irwin Beadle released a series of cheap paperback books called “Beadle’s Dime Novels.” These and other publications flooded the market with hair-raising stories of brave cowboys and frontiersmen fighting off wild Indians to save beautiful maidens. 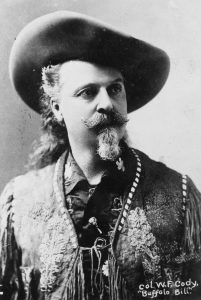 Buffalo Bill Cody: A hero of many Dime Novels, Cody started his own wild west shows beginning around 1883. These wildly popular Western extravaganzas helped to popularize the idea of the cowboy and the wild west both in America, England and even in Europe. Books: Owen Wister became known as the father of western fiction with his many books, including “The Virginian” (1902). 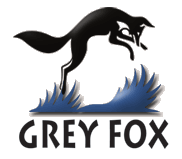 Zane Gray followed suit with a series of immensely popular books including “Riders of the Purple Sage” (1912). His success helped fuel an entire industry of western books. Movies: The first feature movie was a western, “The Great Train Robbery” (1903). Westerns were popular throughout the silent film era. From 1915-1925 William S. Hart dominated western films. Then came Tom Mix, who appeared in 291 western films between 1909 and 1935. 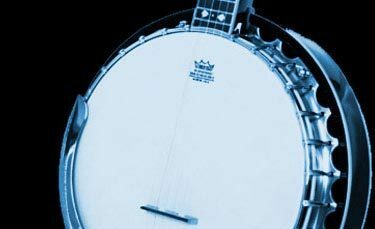 Music: In 1925 Carl T. Sprague recorded an authentic cowboy song entitled “When the Work’s All Done This Fall.” It sold a staggering 900,000 copies at a time when most people didn’t even own a record player. Jimmy Rodgers, known as “the father of country music,” recorded at least seven cowboy songs in his short career and frequently performed in cowboy garb. His hits included “T For Texas,” and he even built a home in Kerrville, Texas. 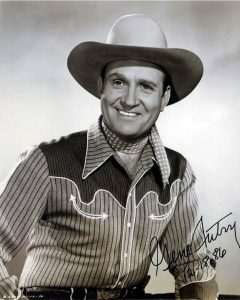 Gene Autry: Anyone looking for the single biggest reason why country music embraced the image of the cowboy needs to look no further than the career of Gene Autry. He singlehandedly changed the look of country music from the hillbilly in overalls to the cowboy in a white hat. 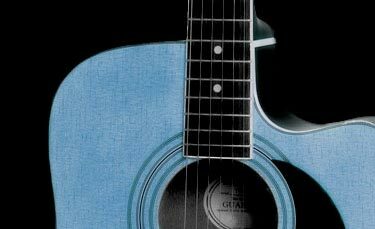 As one of the most influential entertainers of all time, he virtually created and popularized the singing cowboy that took Hollywood and the nation by storm. Here, in brief, is how this transformation took place. Sears Roebuck wanted to enhance its national audience, so it purchased the WLS National Barn Dance in Chicago. During the Great Depression, the country was in sore need of heroes, so the marketing department at Sears hit on the idea of promoting the image of a clean, right living cowboy hero to sell their products. With the stage set for a western hero, in walks Gene Autry in 1931. A likeable performer who was born in Texas, he started dressing like a cowboy for personal appearances shortly after he joined the WLS Barn Dance. Interestingly enough, he bought his first cowboy outfit from Sears Roebuck. Ironically, his first big hit, “Silver Haired Daddy of Mine,” was not a cowboy song, but a mountain song. 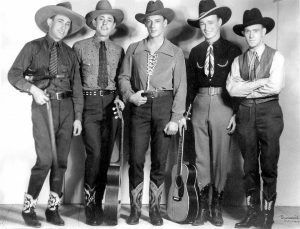 Jumping on the band wagon, Sears soon produced a plethora of cowboy products, including the ”Roundup Guitar.” In 1935, Patsy Montana became the first female performer to have a million-selling record with her “I Want to Be a Cowboy’s Sweetheart.” In 1934, Gene Autry left the WLS Barn Dance for Hollywood to star in “In Old Santa Fe.” This began the era when the singing cowboy dominated the big screen. 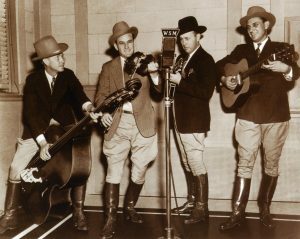 Bill Monroe: In October 1939, Bill Monroe and the Bluegrass Boys joined the Grand Ole Opry. 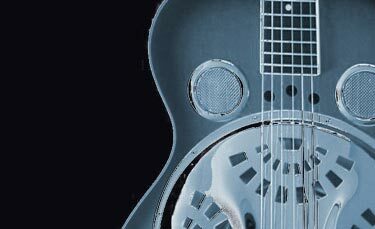 In his first recording for RCA Victor in1940, Monroe recorded Jimmy Rodgers’ “Mule Skinner” Blues.” In a 1980 interview with the author, Bluegrass Boy Cleo Davis remembered that Bill Monroe and the Bluegrass Boys were the first performers to play the Opry dressed in white shirts, ties, and Stetson hats. Monroe’s choice of attire for his Bluegrass Boys wasn’t exactly the full-on “cowboy look,” but it was close.